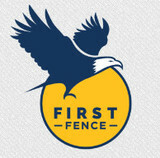 First Fence specializes in custom solutions for all of your fencing needs. We carry a variety of products that fit our client's budget, style and expectation. Our fence consultants are industry experts and will identify and design the most ideal strategy for your project. We are a family owned and operated company and have served the Chicagoland area since 1989. 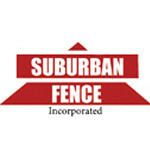 Suburban Fence specializes in custom solutions for all of your fencing needs. We carry a variety of products that fit our client's budget, style and expectation. Our fence consultants are industry experts and will identify and design the most ideal strategy for your project. We are a family owned and operated company and have been a Trusted name in the Chicagoland area since 1977. Northwest specializes in high quality fencing material. Whether your project calls for the superior strength of steel, the permanence of vinyl, the convenience of aluminum, or the beauty of cedar, Northwest offers a material that is right for you. When you’re looking for superior residential fencing, be sure to contact the premier residential fence company in Chicagoland, central Illinois and southeast Wisconsin. Peerless Fence Group offers a wide variety of residential fence designs and options, as well as expertise in fencing installation. Peerless Fence Group proudly installs fences across the Chicagoland area, central Illinois, and southeast Wisconsin. We offer a wide variety of residential fence products, as well as provide expertise in fencing installation. "Making your property safe and secure" At Fence Solutions we have over 35 years of fence installation and construction experience. With free in home estimates, unparalleled customer service and an industry leading commitment to customer satisfaction Fence Solutions is the right choice for your next fencing project no matter how big or small! We service both residential and commercial customers to suit any project need. 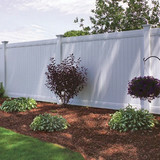 Fence Solutions offers a variety of fence style and color options to make your vision a reality! Family owned and operated fence installations and repairs, both commercial and residential. Scott Fabiani brings 40 years of sales and management to TOTAL FENCING. Scott has been in the fencing industry for years. He is not only the Sales Manager; he is the Operations Manager and one of the owners of TOTAL FENCING. His reputation for customer service far exceeds the industry standard. He works to accommodate all of his customers, from doing estimates 6 days a week to answering phone calls from 7am to 8pm, seven days a week. All of his customers get his office number, cell number and email address. As Operations Manager, Scott oversees the company’s expenses and is constantly looking for ways to deliver the best product, the best service, and the best installation at the best price. When he comes to your home to give you an estimate, you can be assured that he will only suggest what is needed. The staff at TOTAL FENCING will be there to guide you through the permit process, and will notify JULIE. Mission Statement + To make sure you get what you want how you want it. + To provide exceptional customer service. + To provide you the customer with a person to talk to throughout the process beginning to end. + To use only quality materials. + To provide exceptional craftsmanship. + To make sure you know your rights as a consumer. + To ensure your fence meets all city requirements. + To contact JULIE so all utilities can be marked before we dig. If you are looking for a company that can install and repair hardwood flooring in Evanston, Continental Fence would be your best choice. We are a family-owned and managed company located in Schaumburg and have been in the business for over 20 years. We have been known for our excellent service and quality, gaining thousands of loyal clientele in state. Contrary to our company’s name, we are not just limited to fencing. Our work on hardwood floor refinishing in Evanston has also been quite notable. We are consistent with providing top-notch work at good rates. Free estimates are available on request. Give us a call and inquire about their hardwood floor installation in Evanston today! Bob Jaacks Rustic Wood Fencing and Decks is proud to continue a long tradition of serving homes and businesses in the Chicago area suburbs with the highest quality fence design, installation, and repair. For 45 years, the Jaacks family has provided Chicagoland with beautiful residential fences, as well as decks, gazebos, and lawn furniture, that is built to last. A&M Fence Corp is a family owned and operated business serving the Chicago land area for over five years, with 20 years’ experience. Focused on providing the best customer satisfaction, we will work to make our customers projects and desires come to life. Our wide selection of fencing and gates, includes: Wood Ornamental Iron Aluminum Vinyl - Pvc Railings Chain Link We feature many styles and choice to complement and add value to your home. This offering makes us the ideal source for all your fence needs. We have the experience doing both residential and commercial. Our qualified fence installers can install your new Aluminum, Vinyl, Steel, Composite, Wood, or Chain Link fence today. Cedar Rustic Fence Co. is the oldest fence company in the Midwest. We have been manufacturing and installing fences in this market since 1927. Over the last 80 years, we have tested many different methods to build and install fences and decks. We thoroughly understand the type of materials, footings, fasteners and installation techniques that will maximize the life of your fence or deck so you can enjoy them for many years. Cedar Rustic Fence Co. buys all of our material directly from the source, not through wholesale distributors or regional fence and deck suppliers. This allows us to control the quality of products that we use in our fences and decks. Cedar Rustic does not buy the “deal of the day”. Opportunities always exist to buy overstock or off-grade material from re-manufacturers. The quality and longevity of this material is usually suspect and availability is limited. Please be careful – the newest and greatest material “deal of the day” is often a headache in the future when you are fixing your fence. Cedar Rustic Fence Co. is a fully integrated manufacturer and installer of cedar, vinyl and aluminum fencing. We found that most manufacturers servicing the fence industry do not fully understand the challenges of installing a quality fence. These manufacturers are more concerned with their short-term profits than long-term customer service. At Cedar Rustic, we take a different approach. We want our customers to be happy with their fence for many years. Over the years we have slowly expanded our operations to manufacture our own cedar, vinyl and aluminum fences. Each fence panel and post are constructed with an installer’s perspective to ensure that your new Cedar Rustic fence is beautiful and has a long life. Serving the Chicagoland area for over four decades, our family own business operates based on three principles: Select only the highest quality material in the industry; leverage craftsmenship and expertise in planning and installing fences; and provide every single customer of ours with white glove service throughout the entire process. We design and install a wide range of high-quality materials including pure cedar wood, PVC vinyl, aluminum, wrought iron, chain links and more. We also work on custom design fence projects. Contact us today to schedule a free on-site estimate for your project. We look forward to meeting you in person and to learning more about your dream fence. Advanced Fence & Gate is a full-service, Mount Prospect, Illinois based, professional fence contractor providing fence installation to homeowners, general contractors, home builders, architects and landscapers throughout the greater Chicagoland suburbs. Please check to see if we provide fence services in your area. We have an outstanding reputation for service and workmanship and we are capable of providing quality results on any size project. Advanced Fence & Gate guarantees quality fence installations for many different types and styles of fences. Our comprehensive product selection allows our customers to make educated height, style and material choices to truly best suit their fencing purpose within budgetary limits. Your Saint John, IN fence installation and repair professional will work with you to create your ideal fence. Fence installation or replacement. If you are in the market for a brand new fence, a contractor’s services will include walking you through various fence styles and materials, determining a suitable height, ensuring that all fence designs and plans are compliant with Indiana building codes, and that the fencing meets both your stylistic and security needs as the homeowner. Fences and gates must complement the grade of your property as well as the type of soil you have, so the contractor should always plan around these considerations. Additionally, if you don’t know exactly where your property lines are, he or she can commission a survey for you. Find a fence contractor in Saint John, IN on Houzz. Narrow your search in the Professionals section of the website to Saint John, IN fence contractors. You can also look through Saint John, IN photos to find examples of fencing and gates that you like, then contact the professional who worked on them.